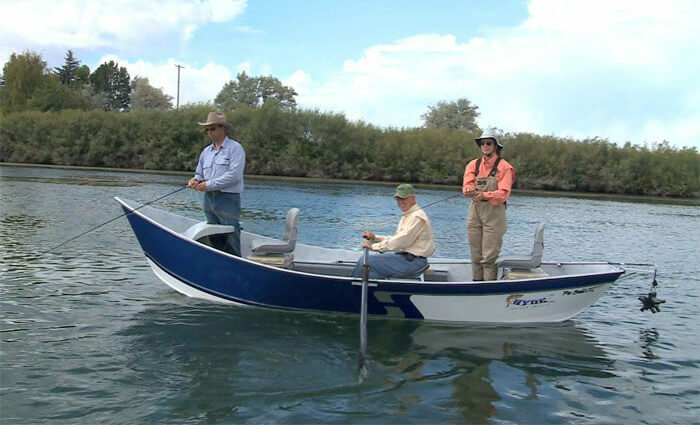 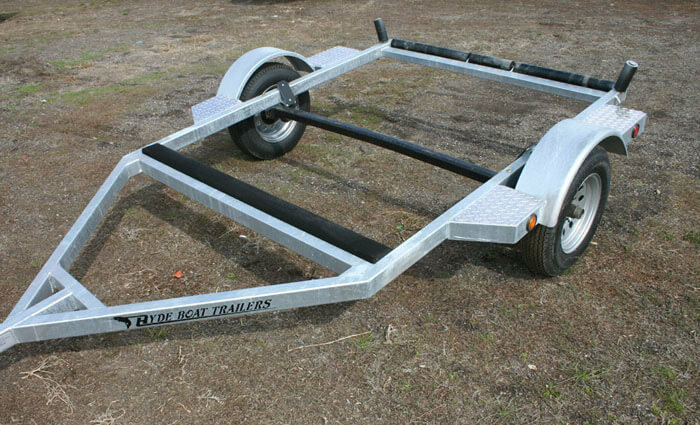 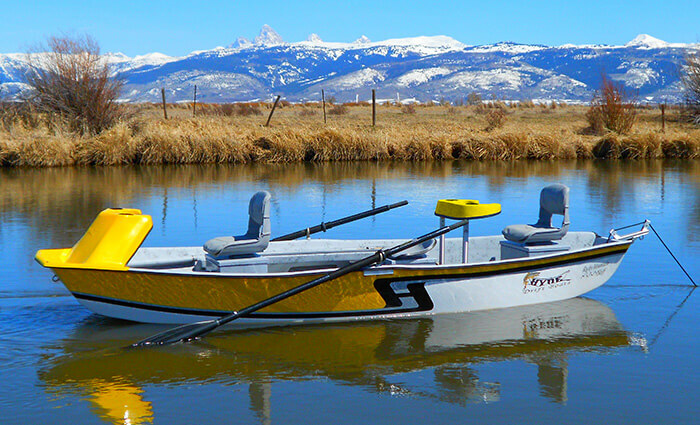 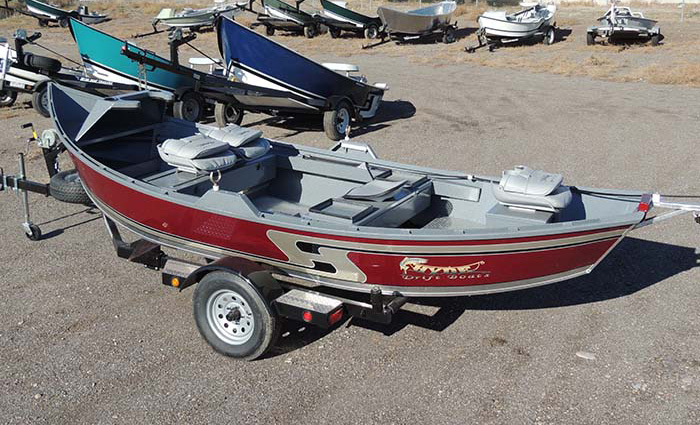 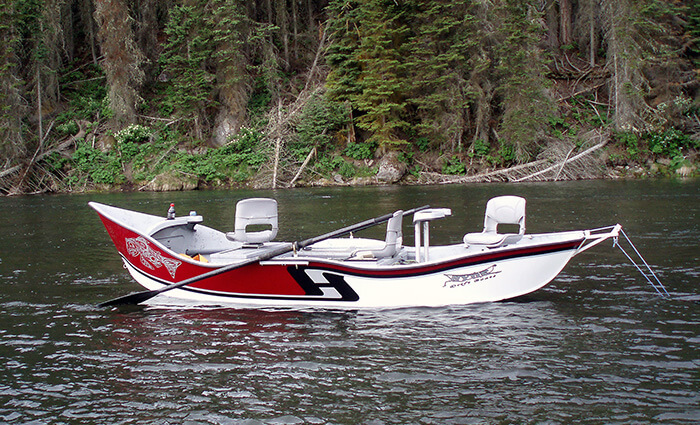 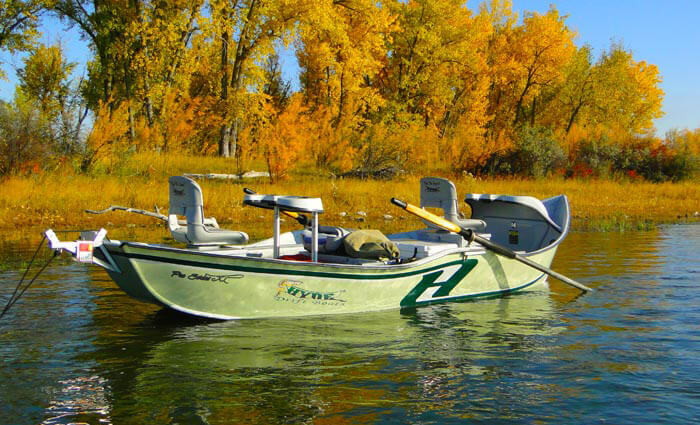 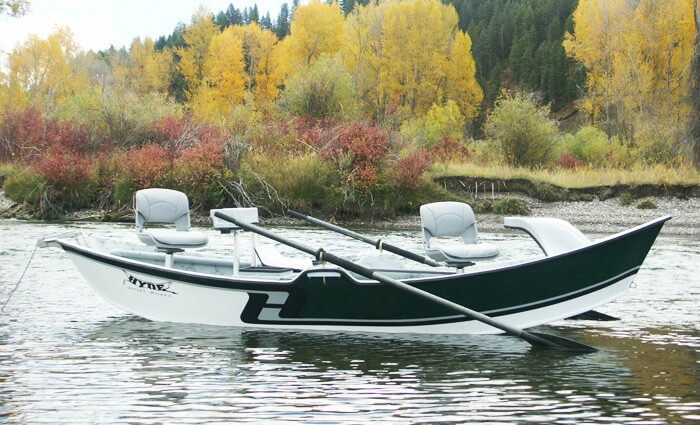 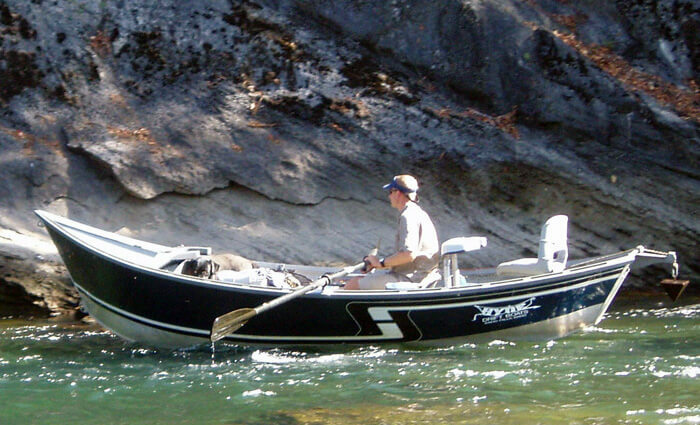 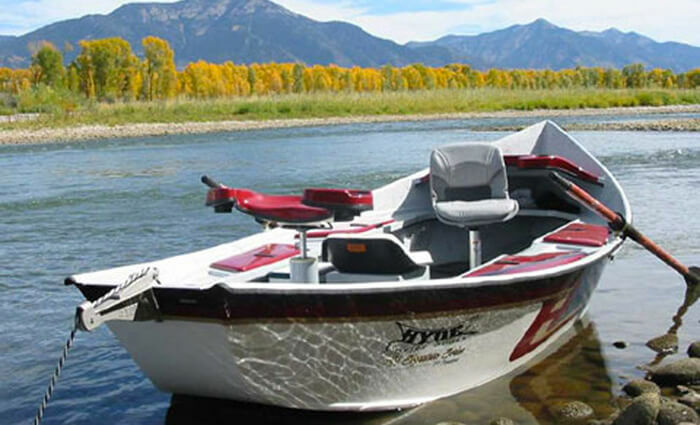 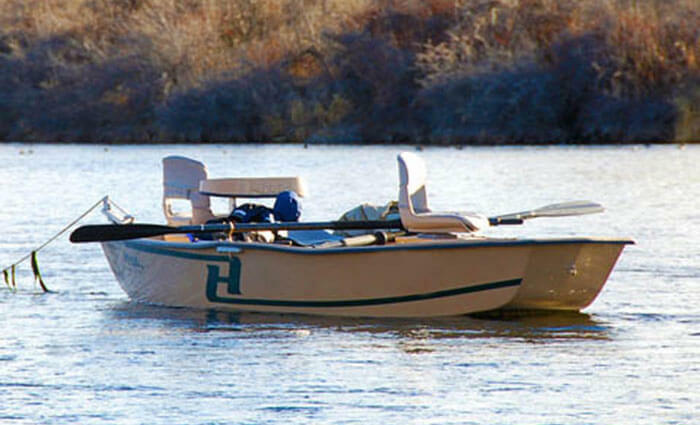 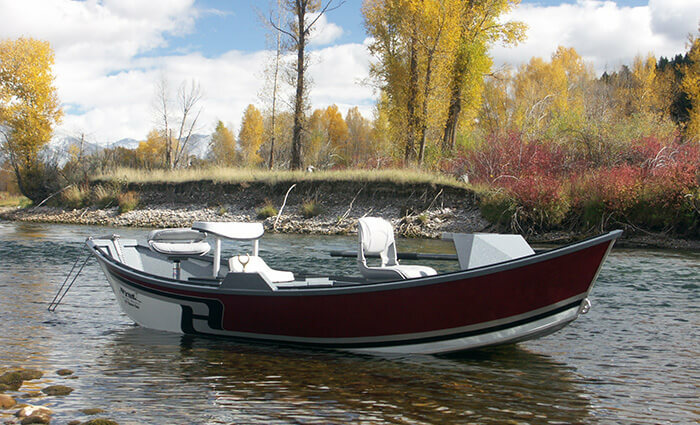 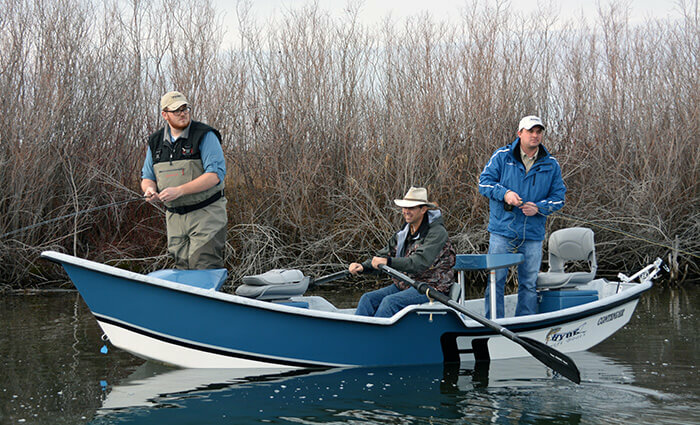 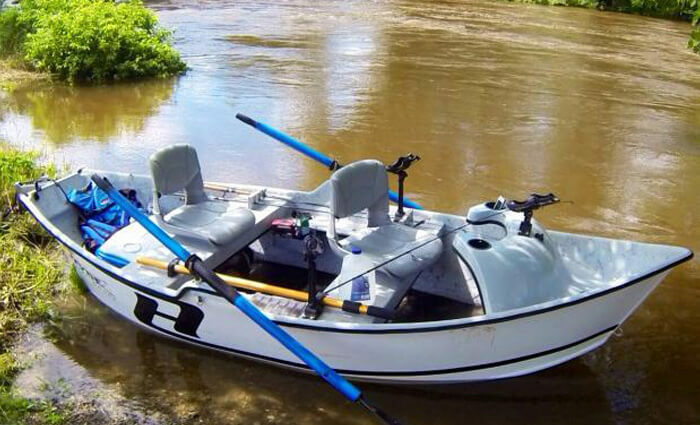 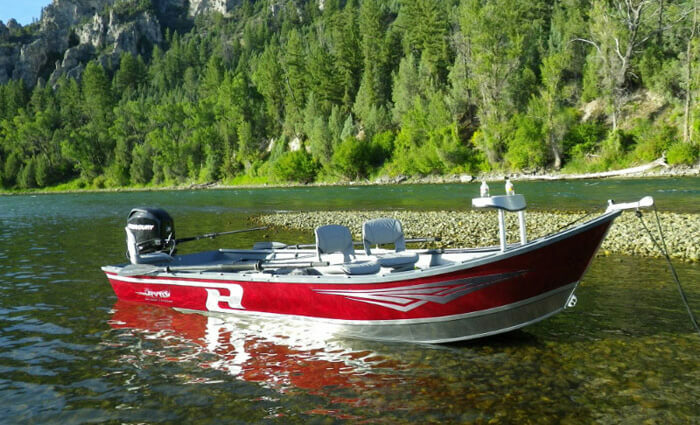 The fiberglass Hyde Boat model went through several revisions before the popular 16.8′ high side model was developed. 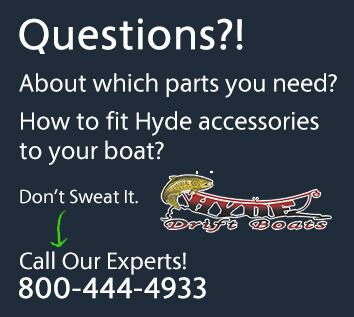 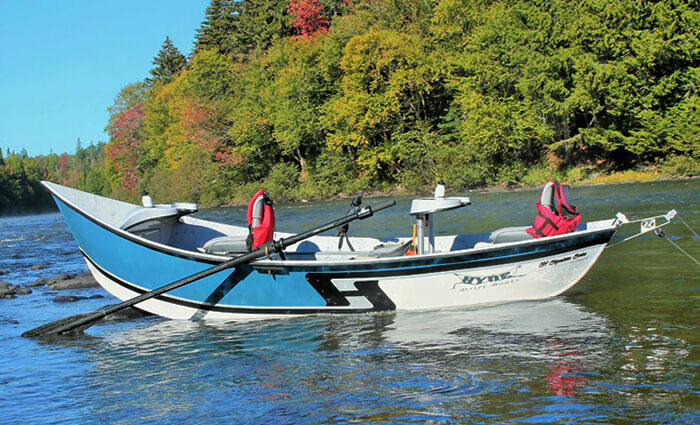 This Hyde design has been the choice of many anglers all across the United States, Canada, South America, and Australia ever since. 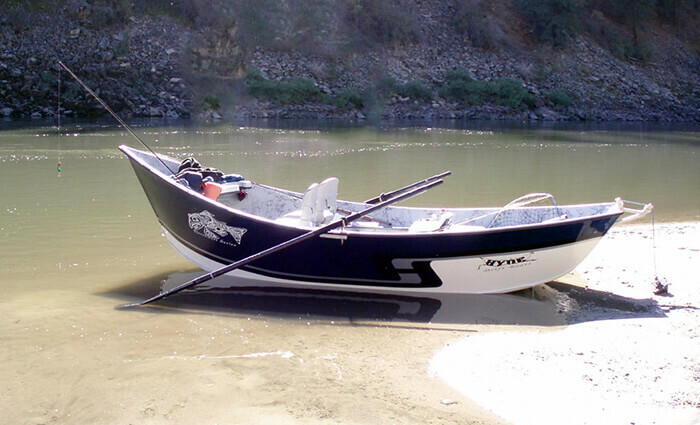 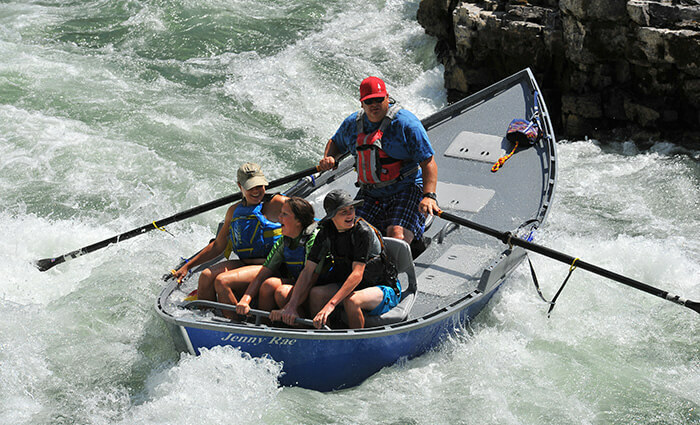 The image shows the Traditional Style Hyde Drift Boat.